Bubbles are magical. They turn tears into laughter and frowns into smiles. Even though my kids are getting older they still get the same look of wide eyed joy whenever I pull out the bubbles. We are big supporters of outdoor play. I firmly believe that more outside play leads to emotionally, mentally, and physically healthier kids. 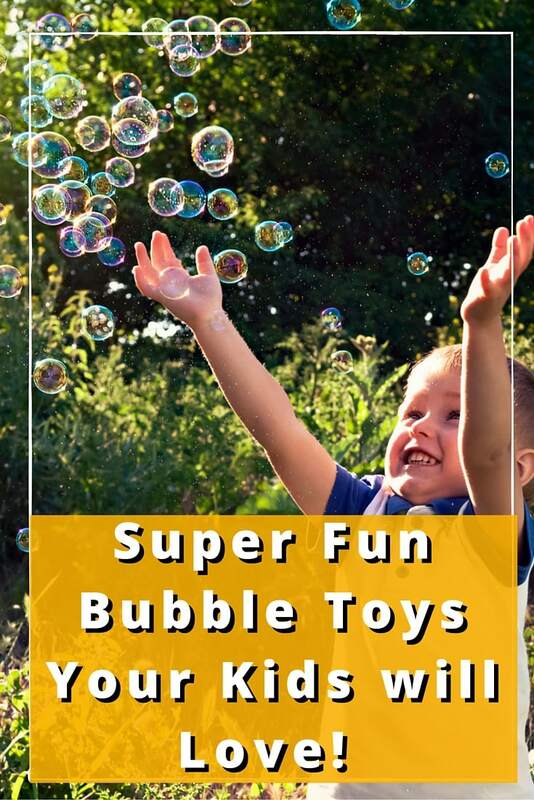 When I want my kids to run around and get their blood flowing, bubbles are my go to “toy.” I’ve picked some of the fun bubble toys that my kids love. (Pro tip- I even bring them to Disney and when we are catching a breather or waiting for a parade I whip them out and keep them occupied!) Bubbles are also a perennial favorite in the kids’ Easter baskets. Really, they are one of those toys that are popular no matter what time of year it is. Affiliate links are included for your shopping convenience. For any purchase made through an affiliate link, a few pennies will go to Gym Craft Laundry at no additional cost to you. you for supporting this blog! This first toy combines the classic allure of steam engines with the fun of bubbles. 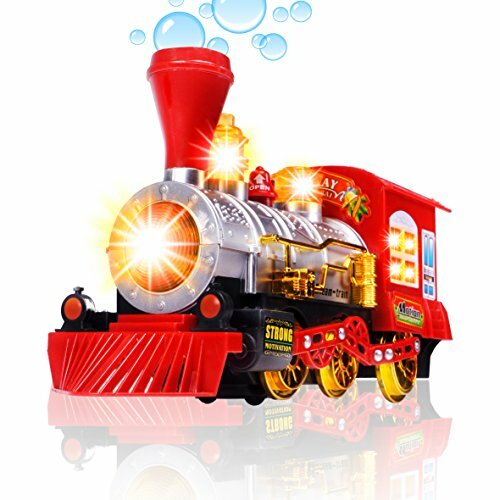 What kid can resist a locomotive engine with lights and sounds that also puffs up bubbles? It’s no wonder this is a bestseller. I have to admit that I love this toy–not because my kids love it, even though they do, but because it replaced a toy I loathed. 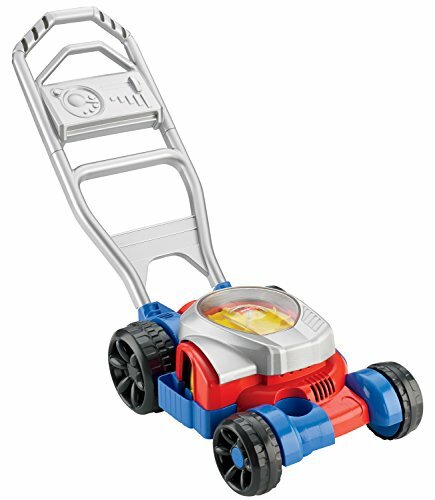 The Fisher-Price Bubble Mower is far less annoying than the lawn mower popper that my kids had before. “Popping beads” are a parent’s nightmare. 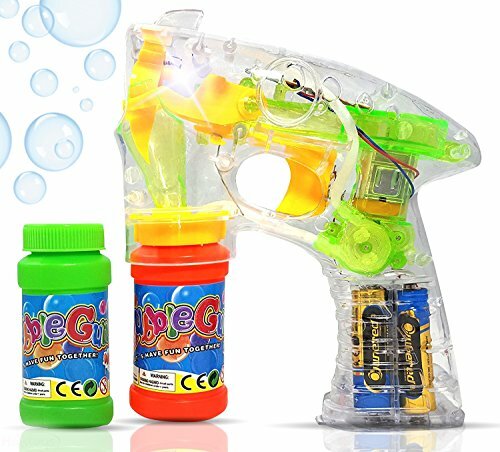 This Light Up Bubble Gun is a steal at under $10.00. We like to bring these to Disney World. Bubble Thing – Blow the World’s Biggest Bubbles – If your kids love ginormous bubbles then this is a perfect toy to stash into the Easter basket this year. Bigger kids absolutely love it. 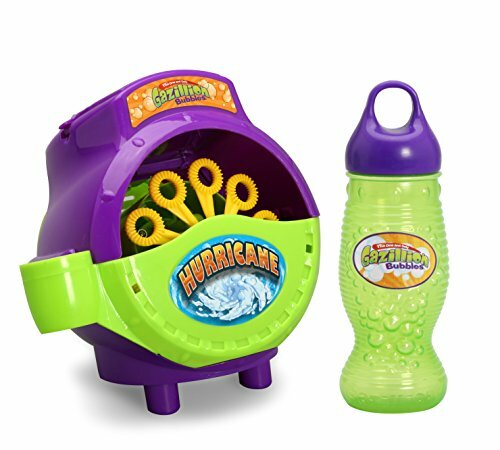 Gazillion Bubble Hurricane Machine – Who doesn’t want to dance around in a gazillion bubbles? 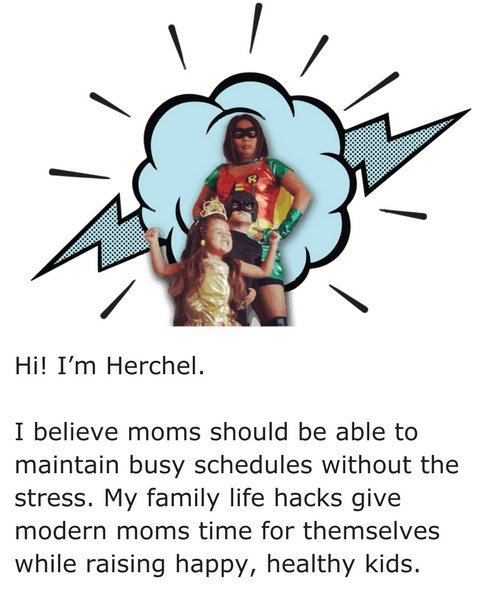 Dancing with your kids is a fun way to get exercise, relieve stress, and get them TIRED. 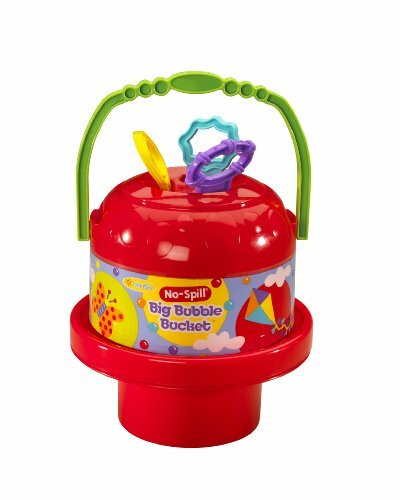 Little Kids No Spill Big Bubble Bucket – if you have kids then you understand the beauty of “no spill.” If you don’t have kids and are shopping for nieces and nephews or your friends’ children, then this will go a long way towards making up for the obnoxiously loud and messy toys you may have given them in the past. 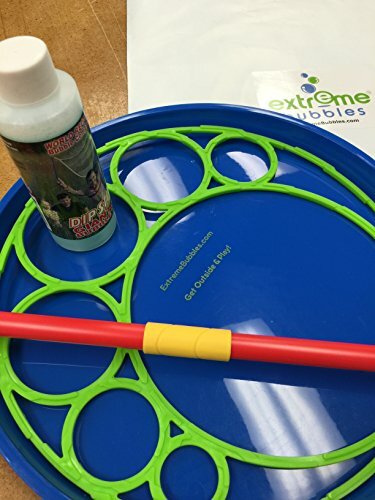 Extreme Bubbles 10″ Giant Bubble Wand Kit, Terrific for Windy Days. Big bubbles are magical. 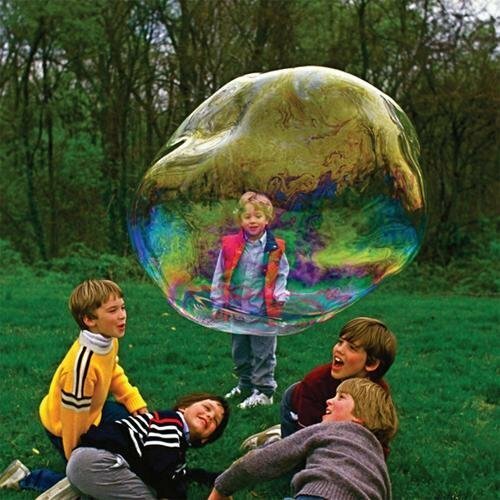 I don’t care how old you are, if you see a giant bubble you will stop and watch it. 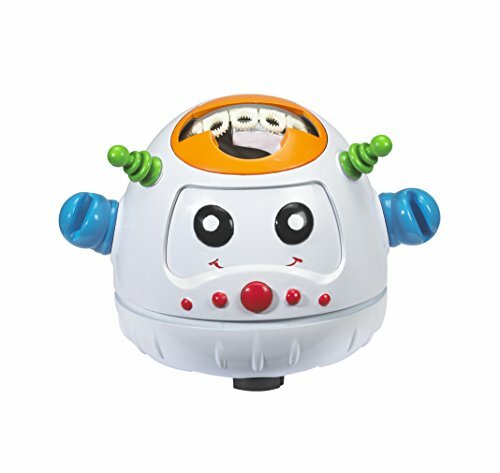 Little Kids Fubbles Bump ‘n Bubble Robot – Robots are fun. Robots and bubbles are a match made in heaven. Little Kids Candylicious Bubbles with Wand Set (4 Piece) – Face it, your small kids will try to eat the bubbles anyway. Why not blow edible ones! This is great for a preschool gift basket or Easter basket. 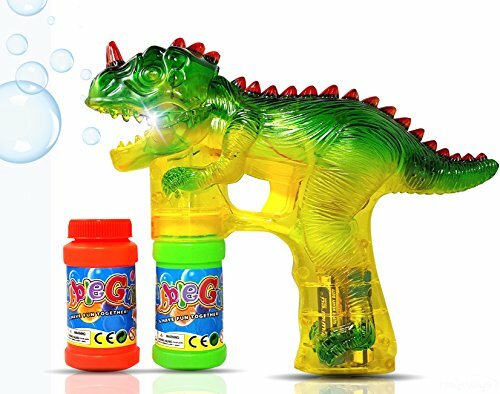 This Jurassic Bubble Gun is a big hit too. Do you have a little one that loves everything that “Rawrs”? 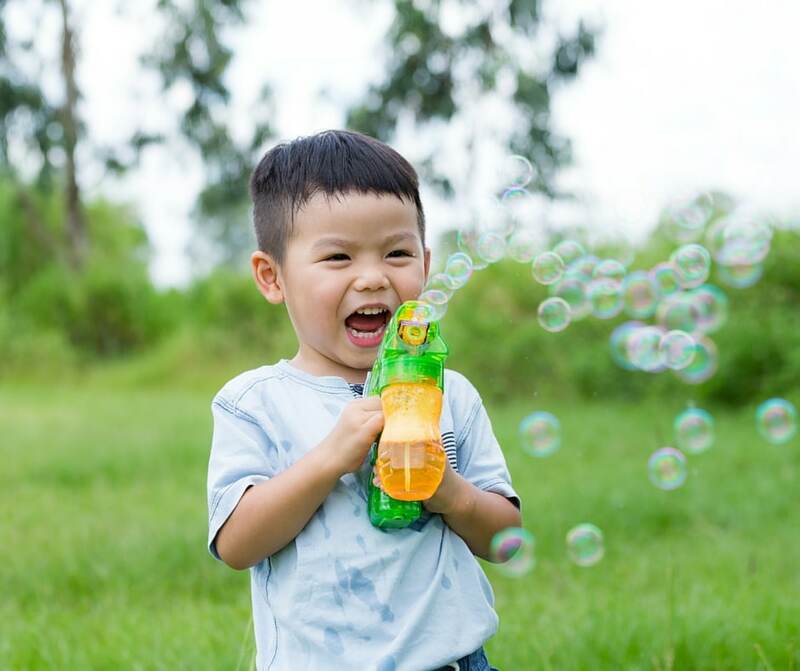 Regardless of which bubble toys your kids love, make sure you don’t run out of bubble solution! I like to make this easy bubble solution and put it in a beverage dispenser for easy refills. These are a few of the tried and true toys we enjoy. 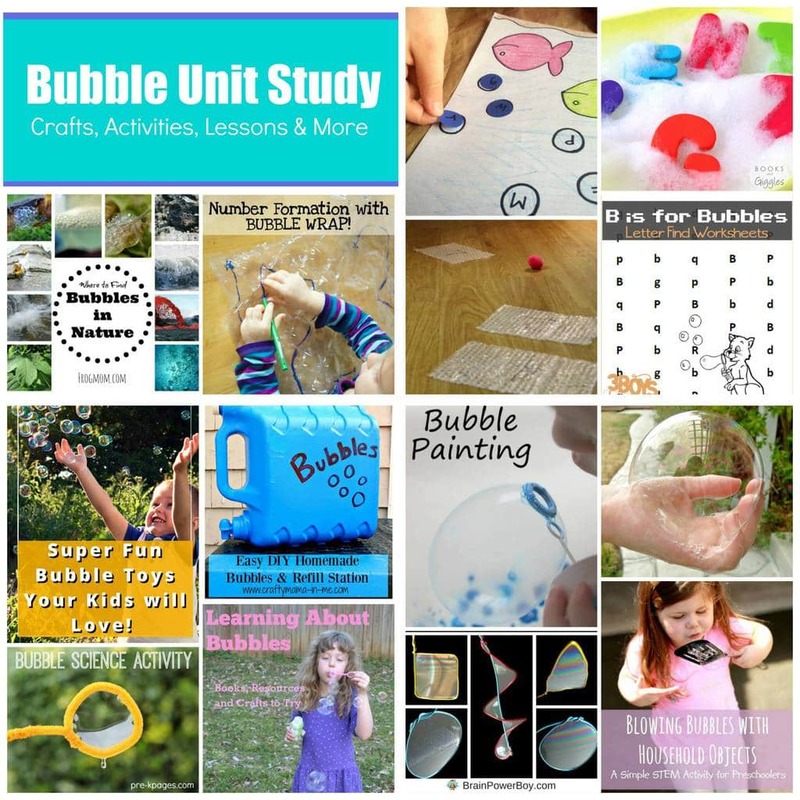 However, the beauty of bubbles is that with a simple solution, whether store bought or DIY, and wands there are so many possibilities. Thanks! I always bring the bubble guns to Disney. When the vendors start hawking them after the sun goes down, my kids are not tempted to beg for one of the $20 bubble guns at disney! Seriously, those things are expensive there. I totally need some bubble guns in the EASTER baskets, great post! Good list. I just love bubbles. It reminds me so much of summer and all the fun we get to have in the sun. Plus children just love them. Always great entertainment when they’re little.